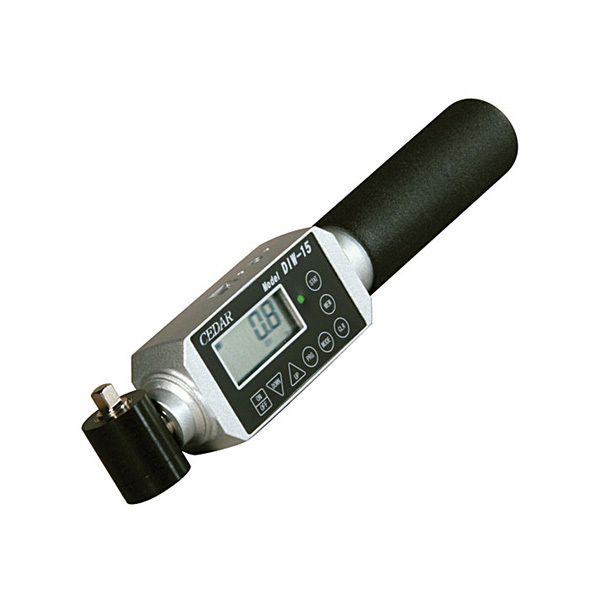 DIW Digital Torque Wrench | Imada Inc. The DIW Digital Torque Wrench is ideal for checking application and removal torque of bolts or other fasteners. The DIW series features several ranges up to 1040 lbf-in. 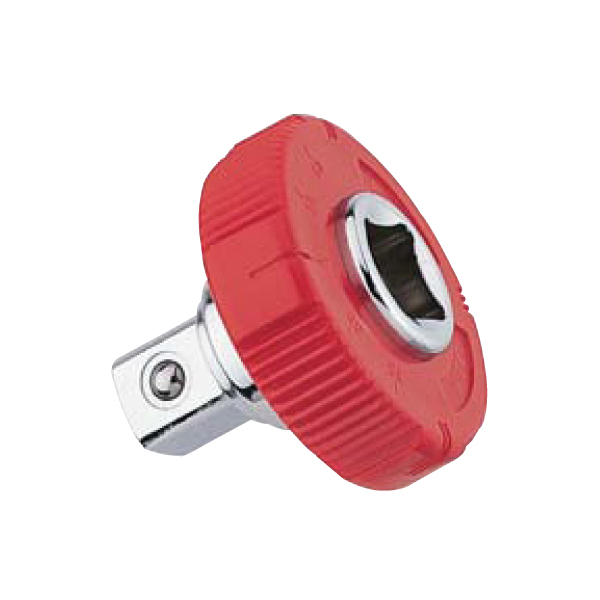 The wrench head swivels 300° and can be used in tight spaces. With the unique drive centered torque sensor, users will get consistent readings no matter where or how the wrench is gripped. Torque controlled wrenches can be evaluated by comparative tests on sample fasteners. Both breakaway and loosen tests can be performed. The rugged design of the wrench is tough enough to withstand a production environment. The testers have an accuracy of ±0.5%, ± 1 LSD. 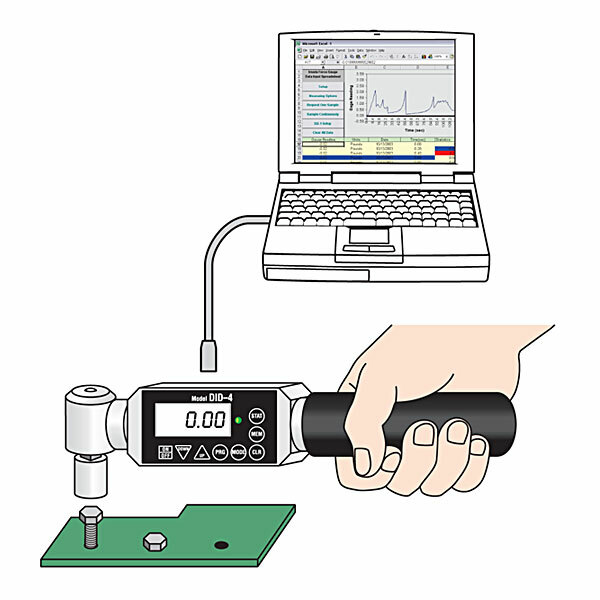 The DIW digital torque wrench has programmable setpoints to be used for pass fail testing. A Green/Red LED indicator and an audible beep are used to notify when the target torque value has been reached. 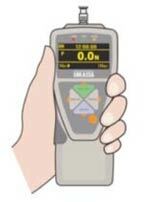 This wrench is compatible with Imada’s SW-1SV-USB Torque Data Acquisition Spreadsheet. Peak and continuous data can be downloaded through the USB virtual COM port. Continuous data can be transmitted to the spreadsheet at 12 or 180 data per second. All testers come with a 3-Point Certificate traceable to NIST. ISO Certificates are available at an additional charge. 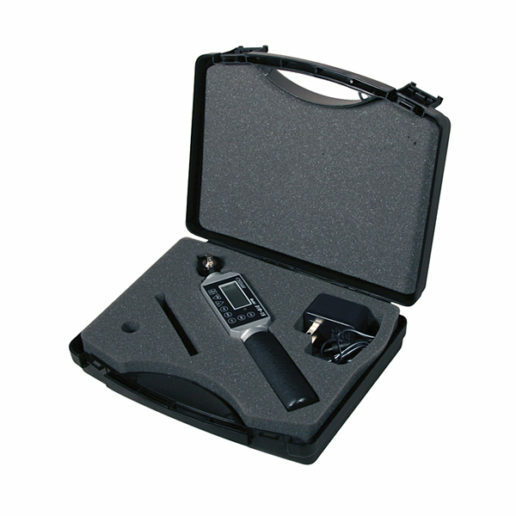 All testers are sold in a complete kit with tester, hard plastic carrying case, and AC adapter/charger. All gauges can run on the internal rechargeable batteries or the AC adapter/charger. Stepless one-way clutches and ratchet clutches are sold separately. DIW-15 — 2.0~130.0 — 2.0~150.0 20~1500 0.20~15.00 1/4"
DIW-20 — 2.0~174.0 — 2.0~200.0 20~2000 0.20~20.00 3/8"
DIW-75 — 2.0~651.0 — 2.0~750.0 20~7500 0.20~75.00 3/8"
DIW-120 — 20~1040 2.0~87.0 20~1200 — 2.0~120.0 1/2"
Quick Spinners and Spinner/Converters allow users to quickly rundown the bolt or nut using their fingers before applying torque. Spinner/Converters have a lower profile than conventional adapters.